ShadowPlex is designed for Enterprise IT, IoT and ICS environments and based on patented innovations. Deception-farms is a seminal innovation that delivers scale and adaptability. Sensors are placed in the network segments. All decoys are born and live in a centralized virtual server farm. They are projected onto the network, thus optimizing resource consumption and delivers flexibility. 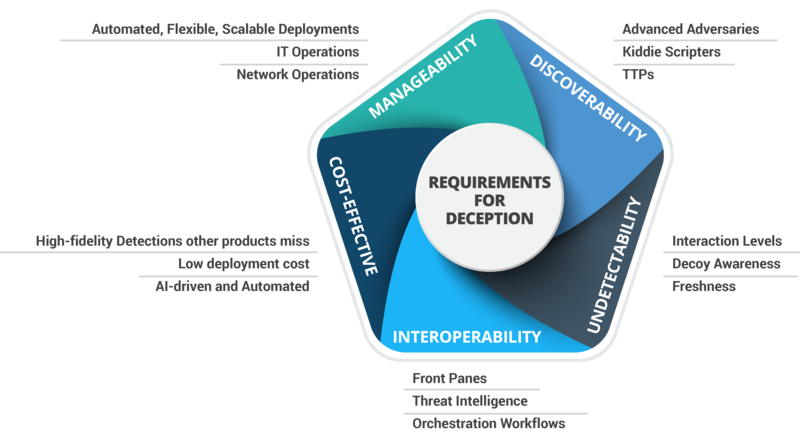 Fluid Deception is a patented technology that achieves resource efficiency by just in time decoy creation, minimizing costs, maximizing effectiveness. No longer do you have to choose between emulation and full host decoys.